In the film The Bucket List, Morgan Freeman’s and Jack Nicholson’s characters spent the last few months of their lives as terminally ill patients traveling the world. They do everything from skydiving in Dubai to climbing Mount Everest, anything that will make them savor their remaining time on Earth. Indeed, retirement, or life after the nine-to-five routine, is often depicted as the blissful and unburdened life in movies. But that’s hardly the case in real life. 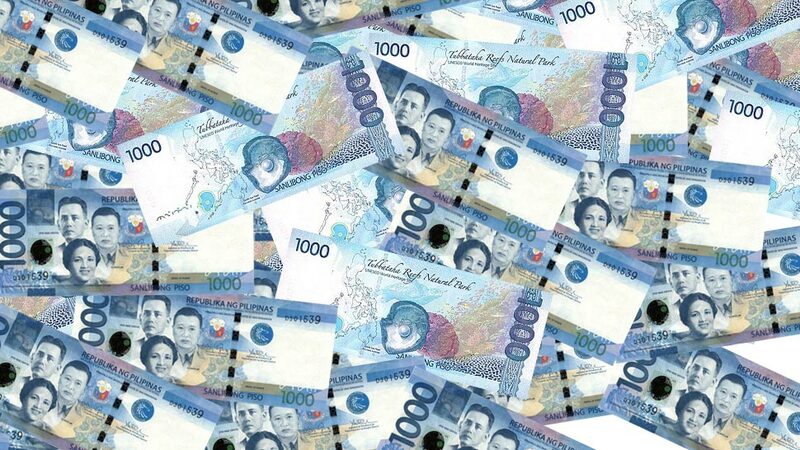 With retirement seemingly still a lifetime away, most Filipinos end up not saving enough for this phase in their lives. In fact, according to the latest Manulife Investor Sentiment Index (MISI), Filipinos keep the least amount of personal savings for retirement in Asia, only setting aside 3.6 months’ worth of income for retirement. This is way below the regional average of 2.9 years. 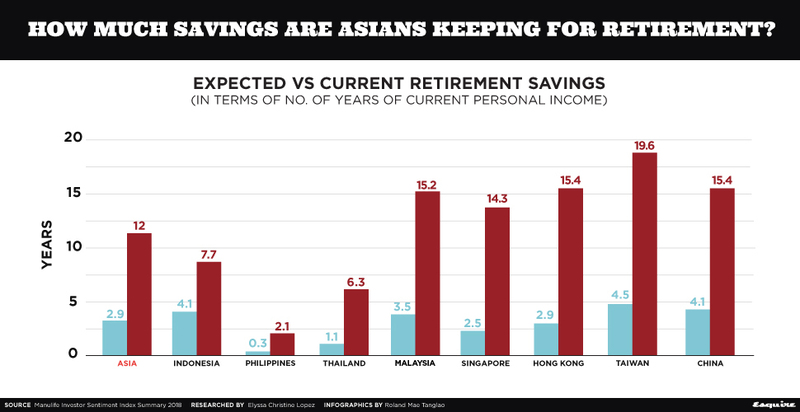 This money-saving habit may be due to the low expectations of Filipinos of “sufficient retirement savings.” According to MISI, Filipinos have the least expected amount of retirement savings in Asia, at only 2.1 years’ worth of personal income. That is a big drop from the regional average of 12 years. To be sure, MISI only surveyed 4,011 participants across eight markets in Asia, which includes Indonesia, Singapore, Taiwan, Malaysia, Thailand, Hong Kong, China, and the Philippines. The survey participants are aged 25 and above and are mostly part of the middle class to affluent markets. “The rise of digital-enabled jobs could provide new opportunities for Filipinos to continue working after retirement. According to MISI, there is strong interest among those 50 years old and above to pursue digital work, either on a full-time or part-time basis,” the report read. MISI noted how online-based freelance work and jobs in the e-commerce industry are some of the top choices of those working in the digital industry. While the index did not correlate the findings on Filipinos’ retirement savings habits and their choice to work after retirement, it may be safe to say that most are more than ready to never stop working.